I’ve had an idea to brighten up the shortest day of the year. As the days get shorter I find it very difficult to get an early start on the day. I really don’t enjoy getting up in the dark and I need an incentive, something bright and cheerful, to encourage me to get to work on time. 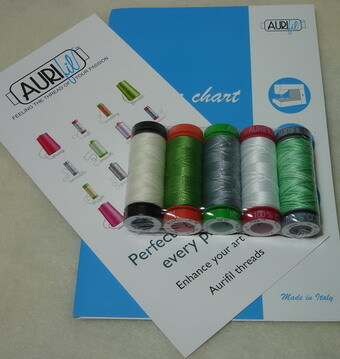 To enter the competition all you have to do is leave a comment below telling us the colour code number and/or name of FOUR of your favourite Aurifil colours. They can be Cotton Mako’, Lana, Brillo or Aurilux colours. If you need help making a decision, pop over to our website where you can check out the full colour range for each thread type. You must use a valid email address when making your comment. Prizes will only be sent to addresses in Australia & New Zealand. 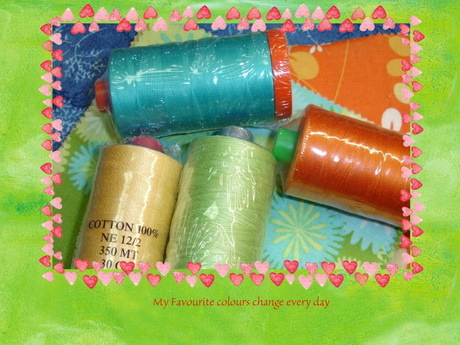 Leave a comment telling us your 4 favourite Aurifil colours for a chance to win one of the threads packs! 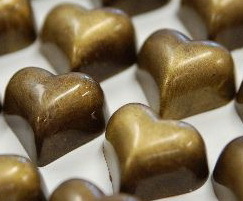 Tuesday Treats: Is Aurifil better than Chocolate? 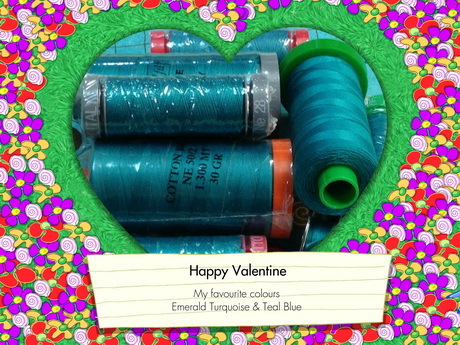 We will have to ask the winners of the Valentine’s Day lucky draw if a parcel of Aurifil is better than chocolates. All five have been contacted, and an Aurifil parcel will be winging its way to them as soon as they respond to our email. 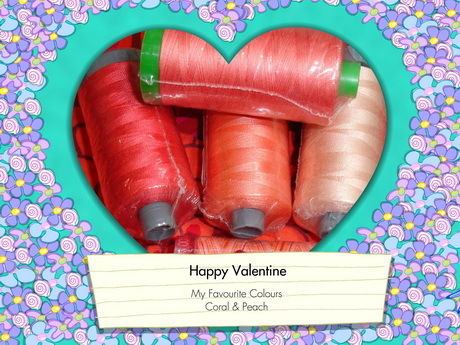 Thank you to everyone who joined in the fun, making a comment about your favourite colour. We wish you better luck next time we have a competition on our blog. Now we would love you to join in the fun for a chance to win a prize that is even better than chocolate. 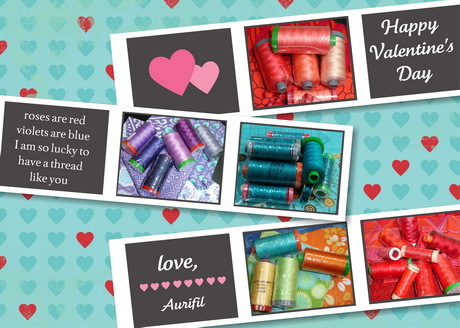 Five lucky people will win an Aurifil thread pack, Valentine Gift, from us! so that we can contact you when you win. 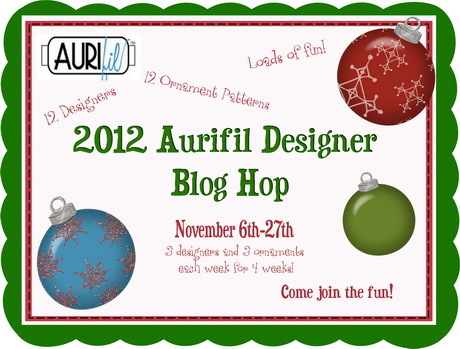 This week is the last in the Aurifil Designers Ornament Blog Hop that I featured in an earlier Tuesday Treat. If you have been meaning to download the patterns, and get in on the fun, but somehow haven’t yet done so, now is the time. So get started collecting patterns and making ornaments. DON”T forget to leave a comment on EACH of the 12 designers blogs on their ornament day. 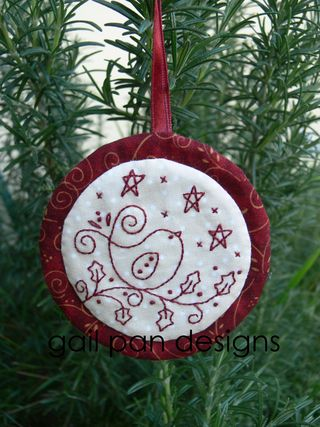 You can also share photos, on flickr, of the ornaments that you make using the patterns. So check out the photos in the Flickr folder and add your photos as well. My Tuesday Treat seems to be getting later and later each week! This week I can blame the late posting on the Public Holiday … where I live, the first Tuesday in November is always a holiday for the Melbourne Cup. Immediately after Melbourne Cup we all start thinking about, and planning, our Kris Kringle gifts for our groups so the Aurifil Designer’s Blog Hop is perfectly timed. 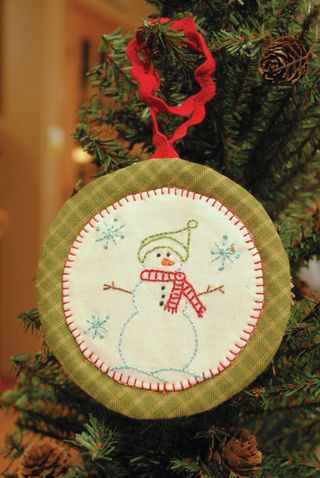 The 2012 Aurifil Designers have created Christmas ornaments just for you! Over the next 4 weeks they will each be posting a free ornament pattern on their blog so you will need to visit three blogs each week, to collect the 12 ornament patterns to make the set. However, you have plenty of time to collect all the free patterns. When you visit each blog, not only do you get a free pattern to stitch a pretty Christmas Tree Ornament, if you follow the instructions on the Designer’s blog you can enter to win some great prizes from Aurifil. Truly a Win / Win situation! 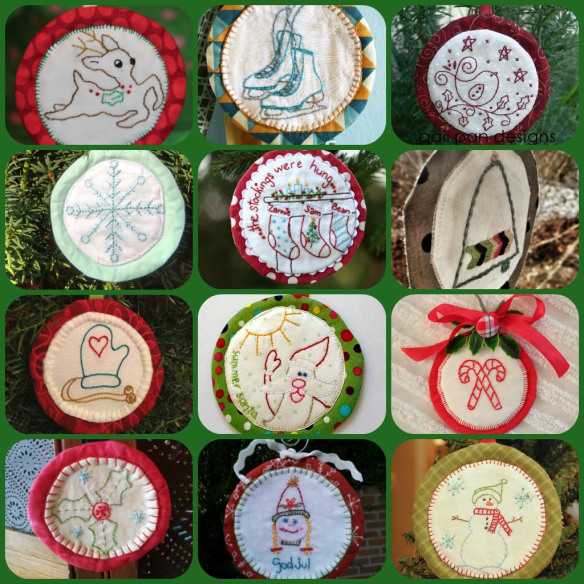 So be sure to visit each blog in the series, to enjoy some Christmas stitching! Don’t forget, if you need some Cotton Mako’ thread to stitch out these designs, exactly as they were planned by the designers, you will find it in our online store. 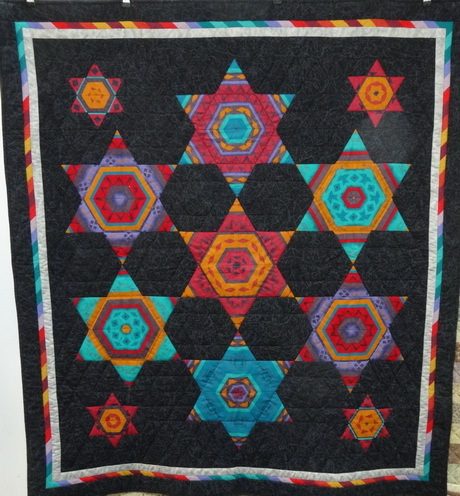 Tuesday Treats: Do you enter Quilt challenges? 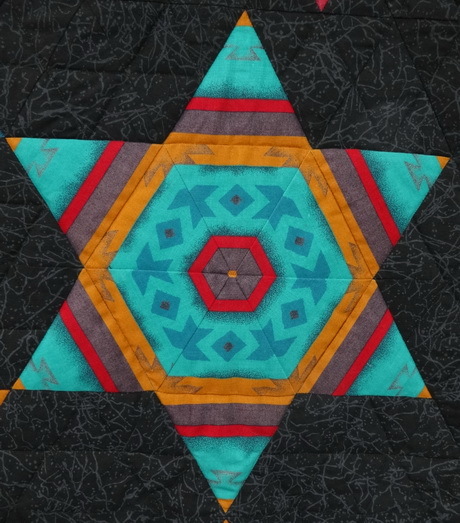 Quilt Challenges can be a great way to extend your skills and “challenge” your boundaries but, sadly, people often avoid entering because they think that they are “not creative” or that their stitching is not “good enough“. 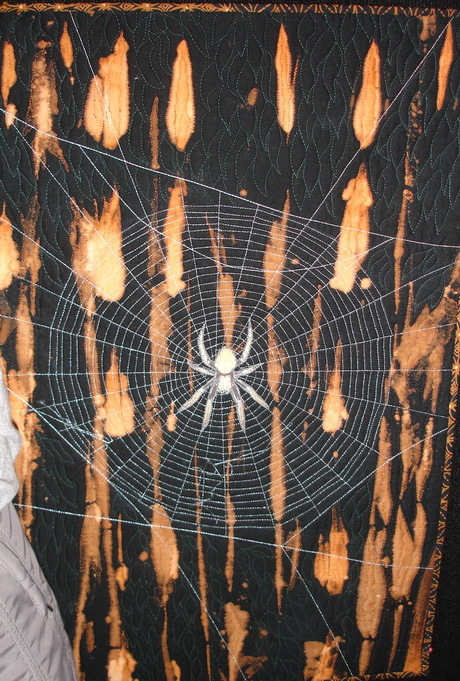 The challenge was entitled “Loose Threads”, and the participants were free to interpret the words in any manner they wished, on a quilt that was approximately A3 in size. 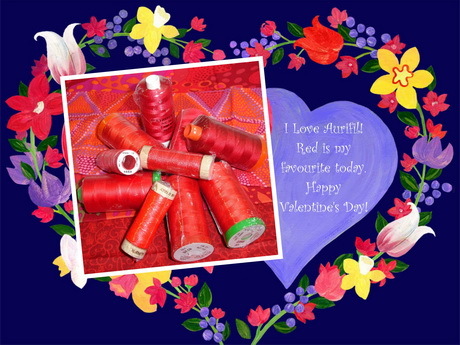 The winners each won a box, or bag, of Aurifil threads and, this year, all the other entrants also received a sample pack of Aurifil threads as a thank you gift for having the courage, and taking the time, to enter the Challenge. 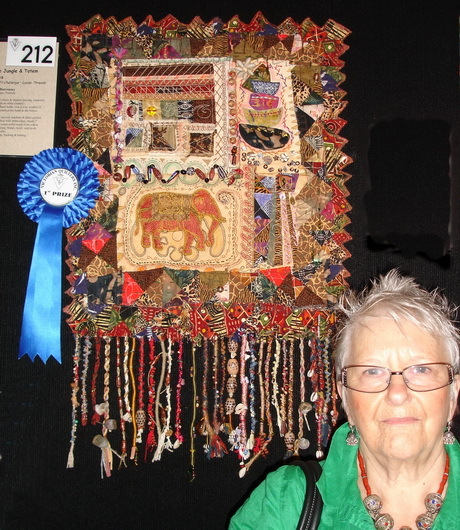 There wouldn’t be any quilt shows if people didn’t participate, so next time you start to make excuses for not entering a quilt remember that old saying “practice makes perfect”. It is certainly true when it comes to patchwork competitions, and an easy way to start is to enter one of your local Guild’s small quilt challenges. Like the “Loose Threads” challenge, they are often no bigger than an A3 page size, and may even be smaller, so they are a “low risk” way to get started. You can experiment with new techniques, or colours. When finished, they don’t take up a lot of storage space. So next time your Guild, or favourite magazine, promotes a small challenge, be brave and have a go. 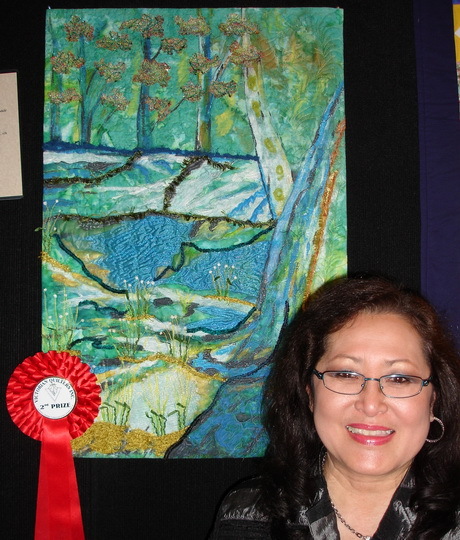 Photos of the above winning quilts have been posted with the permission of each owner.